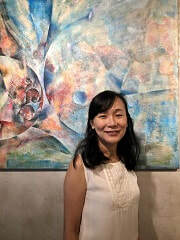 ​Joanne Thia is a Usui Reiki Master Teacher and she founded Simply Reiki to teach Reiki in a pure and simple way just as it is. In 2012, she chanced upon Reiki while searching for the happy formula to life. She trained under Elaine Grundy, the founder of The Reiki Centre. Never looked back since. Joanne is also a Bach Foundation Registered Practitioner and Teacher. She founded SimplyBach Studio (www.SimplyBach.sg) to help humans and animals with their emotion healing using Bach Flower Remedies. ​Joanne is also trained in animal communication skills, so that she can communicate with animals directly when providing healing services for them. 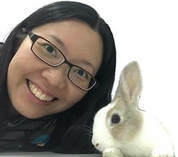 She conducts animal communication workshops (www.AnimalVoice.club) so that everyone can learn how to reconnect their innate abilities to communicate telepathically with their furkids or animals at will. She strongly believes in the empowerment of self-healing and that is why she holds the pure and simple healing modalities of Reiki and Bach Flower Remedies close to her heart. She believes everyone, through self-healing, can find their own path of peace and wholeness in their lives. Click here to check out other Reiki and complementary workshops or events that Joanne is running. Having been never exposed to energy healing before, she went for a Reiki talk with curiosity and an open mind. That was how she began her Reiki journey. She is now healed from her physical ailments that caused her so much suffering in the past. In her healing journey, Janice has learnt to let go of stuffs that were holding her back, discovered new facets of herself and widened her perspectives in life. She is now on her way to loving and respecting herself. Before joining Simply Reiki, Janice offered Reiki healing to loved ones and friends who approached her in need of healing, stress relief or just to receive Reiki energy to boost their individual well beings. She is very fascinated to witness how Reiki has helped each individual in different ways for their highest good. Janice wishes to be the Reiki channel to bring light, peace, love and holistic healing to individuals who she crosses paths with through Reiki. Click here to check out the services that Janice is offering.